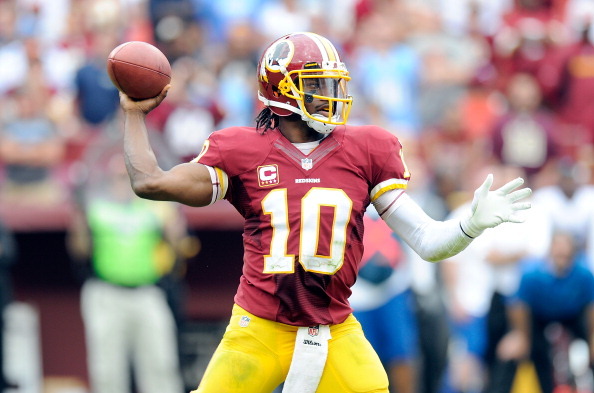 I’m not a fan of the RGIII signing and I’ll be honest about it. There’s no reason to bring him in. According to most NFL reporters including Adam Schefter, the signing of RGIII will not have any impact on the Browns taking a QB at number two overall. Instead, Griffin is being looked at as a stopgap for either Carson Wentz or Jared Goff. Where it makes little sense to me is you have the perfect stopgap in Josh McCown. At 36 years old, McCown will not be around much longer and the future of the organization will clearly lie in the hands of the new draft pick. When healthy, he still performed at a high enough level that he could suffice as a starter in the NFL for another year. With a team mindset of rebuilding, this year is going to be a waste when it comes to record. Probably a poor year would best serve the team allowing for another high pick next year. My ideal scenario would have been to bring in one of these young QBs and see what he can do and have McCown to back him up and mentor him. That scenario has now become crowded with RGIII in the picture. McCown has served as a true veteran leader that the young QBs here could really benefit from. After injuring his collarbone midway into the season, he was still seen coaching the other QBs including Johnny Manziel throughout every game and I would assume practice too. When reports were that Cousins was going to start in Washington, RGIII’s response was much different. He was disengaged from the team and not there to support his fellow QBs and instead wandering the sidelines as he was inactive for the majority of the season as a healthy scratch. McCown also brings with him 14 years of NFL experience compared to just four for RGIII. We can do a blind comparison of different QBs.